Highly Recommend written by mobile Smartphone connection is not possible, but it is good. Smartphones do not work, but humidifiers are better than second generation. It works. All right. All right. All right. All right. Highly Recommend written by mobile I recommend it. I just can not get the app to work properly. ㅠㅠ I bought it cheaply! I recommend it. I just can not get the app to work properly. ㅠㅠ I bought it cheaply! I do not know where the air purifier I ordered is located. Highly Recommend Performance is good. Please just check it out! Performance is good ~ good for price. I do not care about performance, but I have a scratch on white. I feel ... I can not get rid of it! It does not have a wifi function. Okay ... I like the humidification rate. Very satisfied. Shipping is faster than I thought. The shipping is also reasonable and the goods are fine. However, the cord line is gentle when cleaning the tub. I am happy because I bought it because of the children, and the humidity also goes up well. The humidifier that you purchased before 1 was turned on blinking, but it is not sprayed. I will contact you. What should I do? What is the problem when the product is running a lot of noise? After receipt of the item, we will contact you by email. 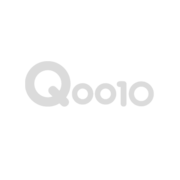 Please send us an email at 993018488@qq.com with the video you are having trouble with and we will be happy to help you by email. If you send a mail to the seller, I will send you an e-mail. I can not reply to your inquiry. Please collect it quickly and give me a refund.